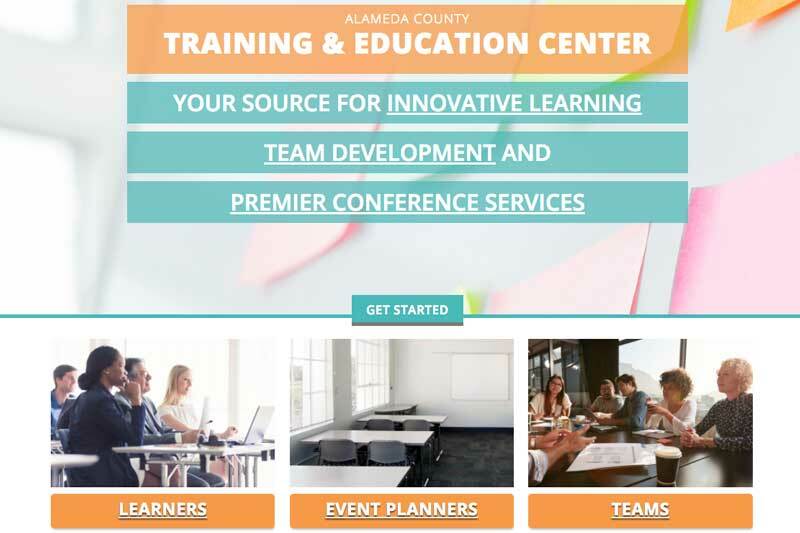 The Alameda County Training and Education Center has long provided facility rentals and meeting space for Alameda County agencies and residents. We engaged with TEC as part of a strategic adjustment of their image within the County. TEC wanted to highlight their shift towards providing more consulting, learning, and organizational development services, and de-emphasize the physical space as defining their identity. After understanding TEC’s strategic goals, we performed extensive community engagement, which helped form the basis for a strategic communications plan, anchored by a new public-facing web site focusing on learning and team-building activities. We developed a new information architecture, built out a new platform based on WordPress, migrated content from the existing web site, and provided content production services where necessary.